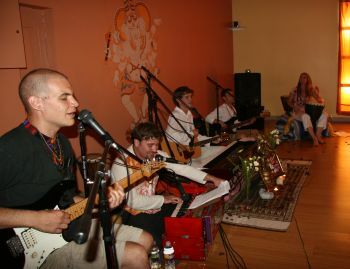 On August 21st, Pranam, Prema Drala’s devotional music group, played their first official public event at the grand opening of Lotus 7 yoga studio in Rancho Santa Margarita, playing in the background during their “happy hour” yoga. On August 23rd, Pranam had their first public “Evening of Devotional Chanting” at Yoga Shakti Studio of Irvine. The event fell on the auspicious day of Ganesha Chaturthi, and, as such, Lord Ganesha was honored with special prayers and chanting as the main part of the event. Pranam also held two “Evenings of Devotional Chanting” at Unity Church of Tustin on September 9th and 16th. These were their first shows at the church, and many of its members loved the show and were eager for future events with the band! 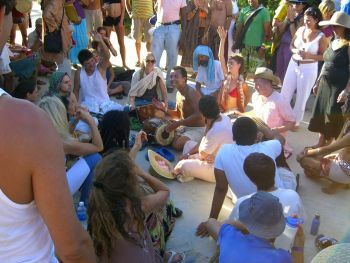 A public darshan was held at 25742 La Serra on September 19th—the first public event to be held at Prema Drala's newest ashram home, located in Laguna Hills, California. Approximately sixty people attended, with some guests traveling from as far away as Joshua Tree, California. 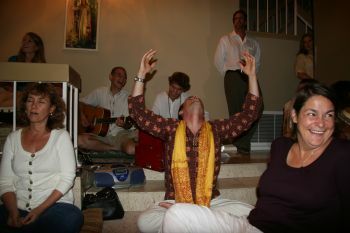 Pranam played live music for the event, and many people basked in the beautiful energy in the room, receiving blessings and healings. A team of disciples from Prema Drala Ashram attended the first Bhaktifest from September 9 – 11th, held at Joshua Tree National Park. 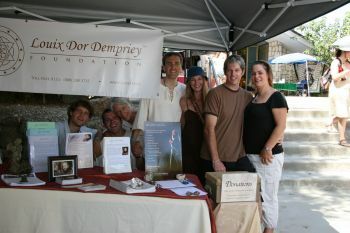 They ran a product and information booth for the Louix Dor Dempriey Foundation at the event, which drew an estimated two thousand people! 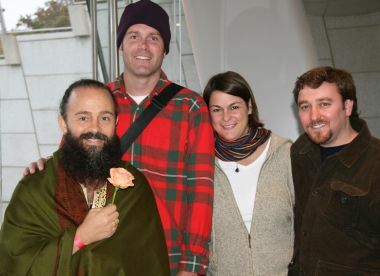 Bhaktifest was centered around yoga and kirtan, featuring live performances from over forty kirtan groups, including Dave Stringer, Jai Uttal, and Donna De Lory. On September 22nd, Pranananda led a public Equinox Meditation in which He helped us to align our energies with the new season—amplifying their impact on our lives and encouraging us to be in harmony with the ebb and flow of the seasons. He spoke of expressing our gratefulness for the Fall’s harvest, both the bitter and the sweet. 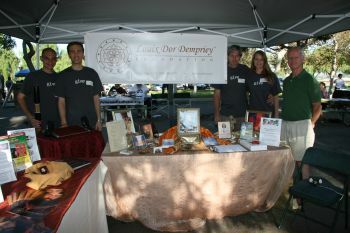 On October 10th, we held “An Evening with Louix” at Prema Drala Ashram. 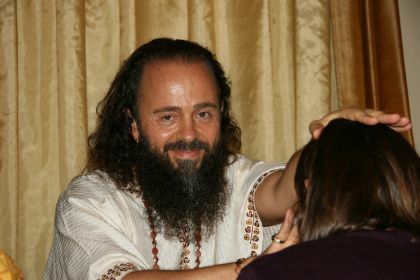 He opened the event with a guided meditation to cleanse the chakras and invoke Divine Light into our bodies, and then gave a discourse on the nature of Enlightenment, a topic which is widely misunderstood these days. After the discourse, He answered various questions from the audience, delivering pearls of wisdom and using His own stories to illustrate the very same. On October 17th, several disciples participated in the annual “Walk for Hope” charity event. The event is a five-kilometer walk decorated with inspiring handmade quotes. The purpose of the event is to spread more love in the world and to raise money for the charity of the participants’ choice. The Louix Dor Dempriey Foundation raised money for Love Without Boundaries, an organization dedicated to improving the lives of orphans and impoverished children in China. On October 21st, Louix Dor Dempriey and several disciples from Prema Drala Ashram arrived in New York City and received a heartfelt welcome from their New York spiritual family. The next five days proved to be a transformational experience of unconditional love for all those who had the blessing of being in His presence. In this short visit they held several events, including: two interviews, a public darshan, and a one-day retreat. Click here to read more about the trip. It is with great joy and excitement that we announce this year’s celebrations to honor the 48th birthday of Louix Dor Dempriey (Bhagavan Sri Pranananda). Each year, disciples and devotees around the world hold a three-day celebration as an expression of our gratitude for His presence in our lives and on this planet, and to attune to the Divine energies that are available to all on this hallowed day. Each year, Louix spends His birthday with His beloveds in a different part of the world. This year, Louix will attend His birthday celebrations at Sundara Aravinda Ashram, in Melbourne, Australia. 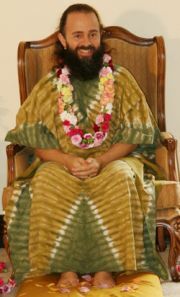 His ashrams all over the world will host various events and gatherings, which all are welcome to attend. Click here for more information about the birthday celebrations. To register for our next call, or for more information, please visit: www.LouixLIVE.org. During this phase of growth and expansion, there are many opportunities to serve the Foundation. To learn more about volunteer opportunities and various service projects, please contact Dria Kasunich at (888) 288-3735 or dria@Louix.org (U.S. and other regions), or Kharananda Mayi at +61 3 9885-2993 or kharananda@Louix.org (Australian inquiries).